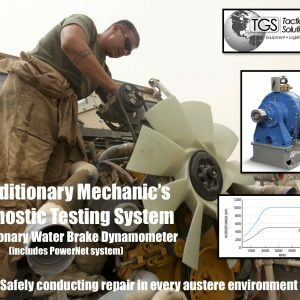 TGS is proud to provide our customers with the Heavy Duty Tactical Jack in support of recovery operations for our Armed Forces. 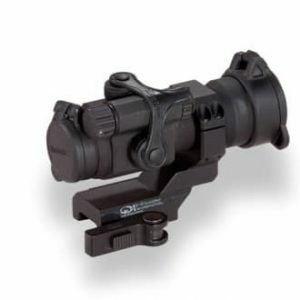 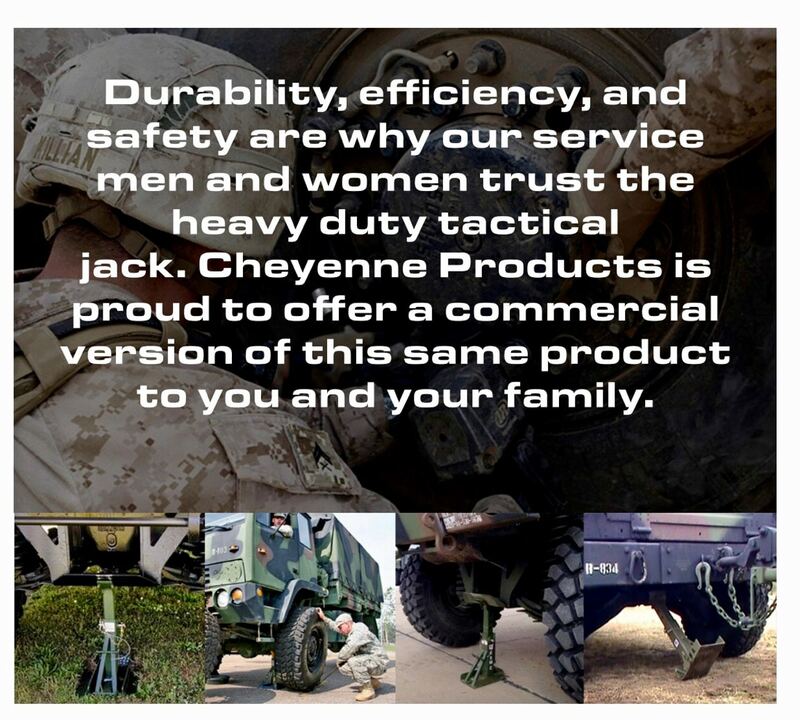 The Heavy Duty Tactical Jack was developed to support the mission of our Armed Forces around the world. 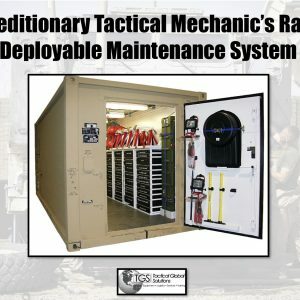 Changing a flat tire on a tactical vehicle or tactical trailer can be a potential life threatening situation. 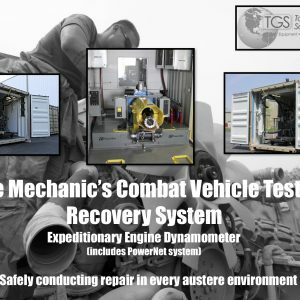 In a hostile situation, where seconds matter, changing the downed tire quickly and continuing with the mission is a #1 priority. 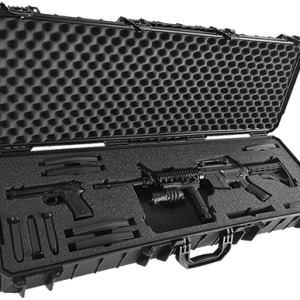 The Heavy Duty Tactical Jack provides a rapid deploy alternative to the cumbersome, time-consuming jacks currently being utilized. 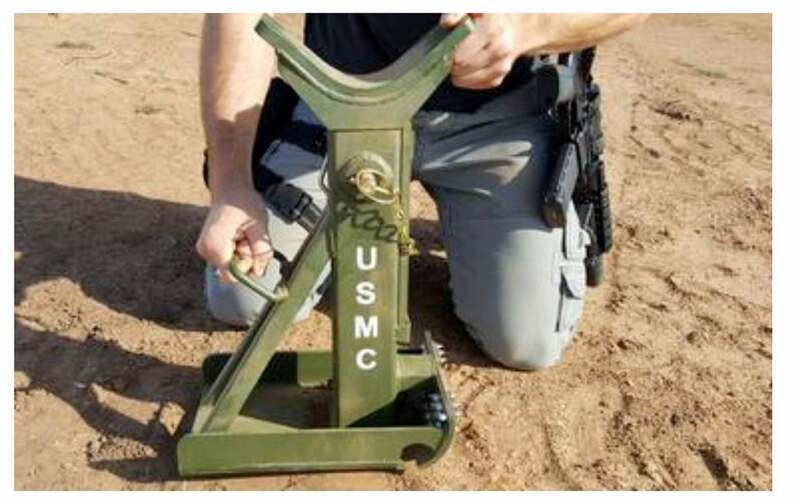 Marines in the field report getting a damaged tire off the ground in under two minutes using the heavy duty jack. 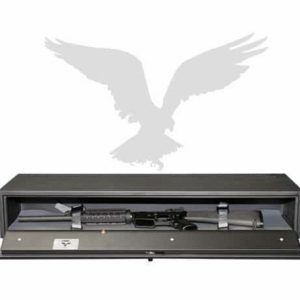 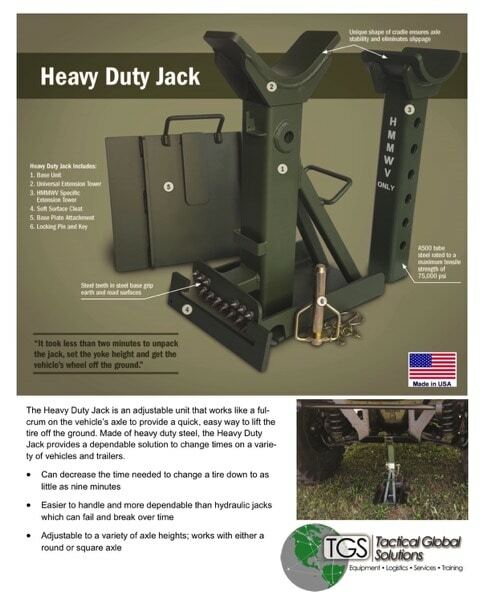 The Heavy Duty Tactical Jack has a Max Load of 25 Tons and is made in the USA. 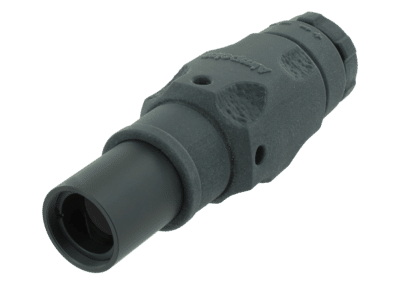 The Jack will support the following tactical vehicles: HMMWV – (AM General), IFAV – Interim Fast Attack Vehicle (Mercedes-Benz G-Class), MTVR – Medium Tactical Vehicle Replacement ( Oshkosh), HEMTT – Heavy Expanded Mobility Tactical Truck, MRAP – Mine Resistant Ambush Protected.